The family of a woman gunned down in front of her young children has started a Change.org petition, pushing for legislation which would make sentences longer for violent crimes committed in front of kids. Kaya Wilson was the type of woman her aunt Charlena Young says you would have wanted to know. "I remember her warm spirit," Young said. Young said Wilson was kind and always had a smile on her face, but most of all, she was a great mom to her young kids. "She loved her children," Young said. 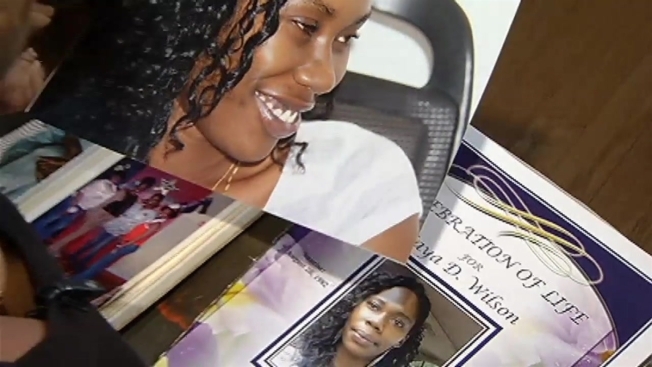 Wilson was just 29 when she was killed Nov. 19, 2011. That evening, Wilson was in her Oxon Hill apartment baking cookies with her kids when a gunman entered. He was allegedly looking for her boyfriend, who wasn't home. Wilson was fatally shot. Her 7-year-old daughter called 911. Young got a call from her own daughter minutes later. "My daughter said, 'Mom, Mom, Kaya's dead; Kaya's dead; somebody shot her'," Young recalled. Rashiek Bell was charged with Wilson's murder; earlier this month, he was found not guilty. Prosecutors argued that Bell entered Wilson's apartment to find her boyfriend, but he wasn't home so Wilson was killed instead. The defense team discredited the prosecution's key witness, arguing that that it wasn't Bell shown on a surveillance video. The jury agreed. It was an emotional evening for Wilson's family after the verdict was read, prosecutors said. Her children are still struggling to recover emotionally from the night their mother was killed. Now, Wilson's family has started a Change.org petition, pushing for legislation which would make sentences longer for violent crimes committed in front of children. The state's attorney's office is on board and says they're trying to get a bill sponsored and introduced in January. "For something like that to happen in front of those children and to have them... to be faced with that dilemma all of their lives and the trauma..." Young said. Nothing will take away the pain that Wilson's family feel, but the family says that passing legislation in her memory would insure that her death wasn't in vain. "I have to be that vessel to advocate for my niece that's no longer here," Young said.